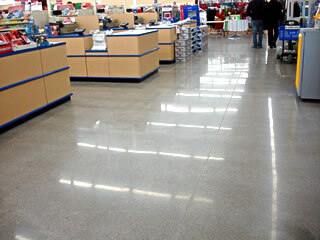 If you think your concrete floor looks old, worn-out, or dated, consider a polished concrete floor. Polished concrete is a cost-effective solution that can transform dull, lifeless concrete into a classy, vibrant surface to breathe new life into any room, residential or commercial. 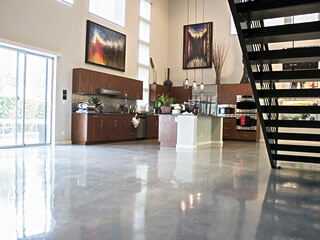 Polished concrete flooring is a unique and durable flooring alternative that gives you more personalization and customization options than other materials on either a new or existing concrete surface. The result is a beautiful floor that is glossy without being slippery, low maintenance, and makes any room look like new. Because concrete polishing is a multi-stop process, you can choose the level of shine, from satin to high-gloss, that meets your aesthetic and maintenance needs.